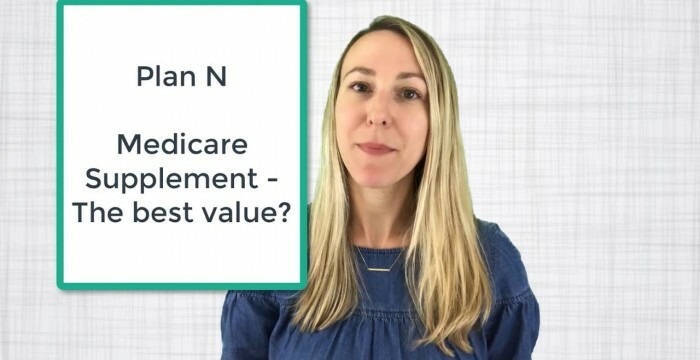 Plan N Medicare Supplement – Is it really a good value? Medicare Supplement Plan N is growing in popularity – but does it offer the best value? Plan N is one of the three most popular Medicare Supplement Plans, along with Plan F and Plan G, but it can often cost up to 30% less than Plan F, or 20% less than Plan G. It’s a very popular Plan for people that looking for an alternative to a Medicare Advantage Plan – and unlike a Medicare Advantage Plan, Plan N because it is a Medicare Supplement Plan has NO networks, it is not an HMO or a PPO. Plan F has historically been the most popular Plan because it is the Plan that offers the most coverage – with Plan F, 100% of the gaps in original Medicare are covered, so you pay zero out of pocket at the doctor and hospital. However, you usually pay a lot more in premium for it. Plan F is priced higher, and based on what we’ve seen Plan F experiences higher percentage rate increases than Plan G or Plan N.
Plan G is almost identical to Plan F, but there is no coverage for the Part B deductible, which is $183 annually in 2018. With Plan G, after you meet the Part B deductible of $183 all of your Original Medicare costs are covered at 100%, so no copays, no coinsurance at the doctor or hospital after the deductible is satisfied. Plan N offers a good bang for your buck, and in many states you can get a Plan N for under $100/month. Now the reason it is priced lower than Plan F or Plan G is because you will be responsible for a little bit more of your Medical costs. Just like Plan G, there is no coverage for the Part B deductible, so with Plan N you can have annual deductible of $183/year. After the deductible is met, you may be responsible for Co-pays at your provider and at the emergency room. Copays will be anywhere from 0-$20 at the provider, and up to $50 at the emergency room. Additionally, Plan N does not cover the Medicare Part B excess charges. You may come across excess charges if you visit a provider who accepts Medicare but does not accept Medicare assignment. So, it is possible to see a doctor who accepts Medicare patients, but does not accept Medicare Assignment, or Medicare as “payment in full”. In this case, a doctor may charge you up to 15% above the Medicare Approved amount. These are excess charges – Plans F and G cover them at 100% but Plan N does not. Now excess charges are not extremely common, and in some states they are actually illegal: Connecticut, Massachusetts, Minnesota, New York, Ohio, Pennsylvania, Rhode Island, and Vermont. You can always feel free to call (888) 465-9728 anytime for a completely free no obligation quote. We are licensed in 40 states nationwide. This entry was posted in medicare supplement and tagged Best Rated Medicare Supplement, medicare advantage, medicare plan n, Medicare Supplement, plan n, Plan N Rates, turning 65, turning 65 medicare plans. Bookmark the permalink. M Valbiro it was such a pleasure speaking with you! Please let me know if you have any other questions.